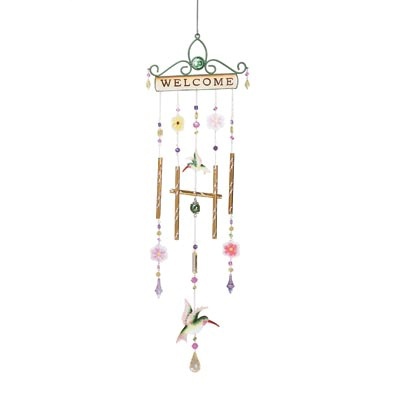 Hummingbirds, flowers, and gemstones all combine in this beguiling chime. Art glass beads; gold-tone pipes, painted metal hummingbirds. Dimensions: 10" x 1" x 33" long.